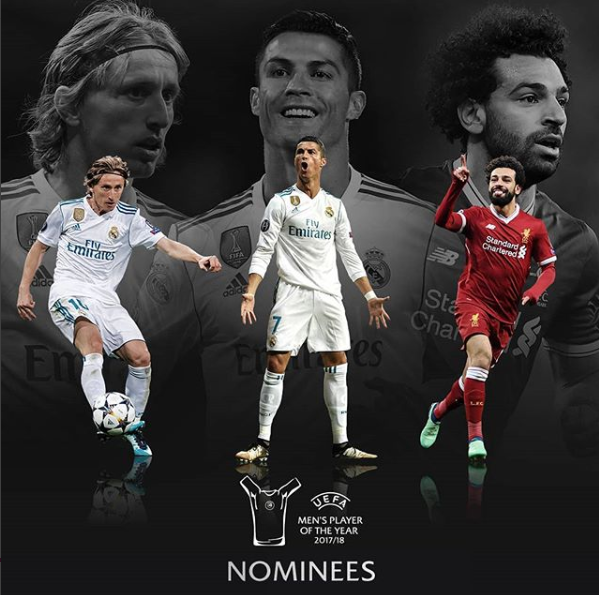 Luka Modric, Cristiano Ronaldo and Mohamed Salah are the final three nominees for UEFA’s Player of the Year award. The trio were the last three standing following a vote by a jury comprising the coaches of the 80 clubs from last season’s Champions League and Europa League, as well as 55 journalists representing UEFA’s member associations. 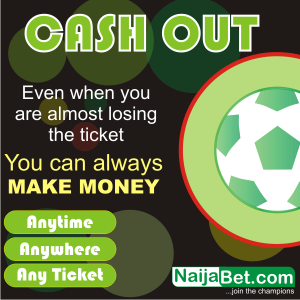 Croatia star Modric then went on to claim the Golden Ball at the World Cup after inspiring his nation to the final, where they lost to France. Salah, a Champions League runner-up with Liverpool, scored 44 goals in all competitions in a stunning first season at Anfield. 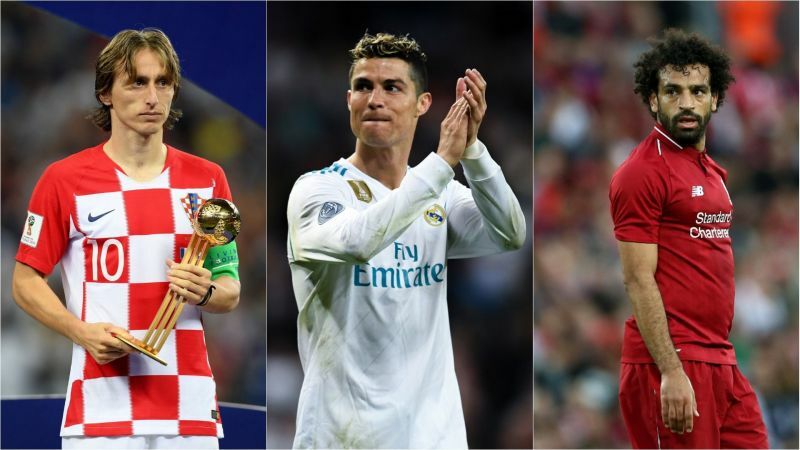 Antoine Griezmann came fourth in the voting, having won the Europa League with Atletico Madrid and the World Cup with France, while Barcelona’s Lionel Messi was fifth despite leading his side to the domestic double. Kylian Mbappe, Kevin De Bruyne, Raphael Varane, Eden Hazard and Sergio Ramos complete the top 10. The winner of the men’s and women’s prizes will be announced at the draw for the Champions League group stage on August 30. Pernille Harder, Ada Hegerberg and Amandine Henry are on the women’s shortlist.